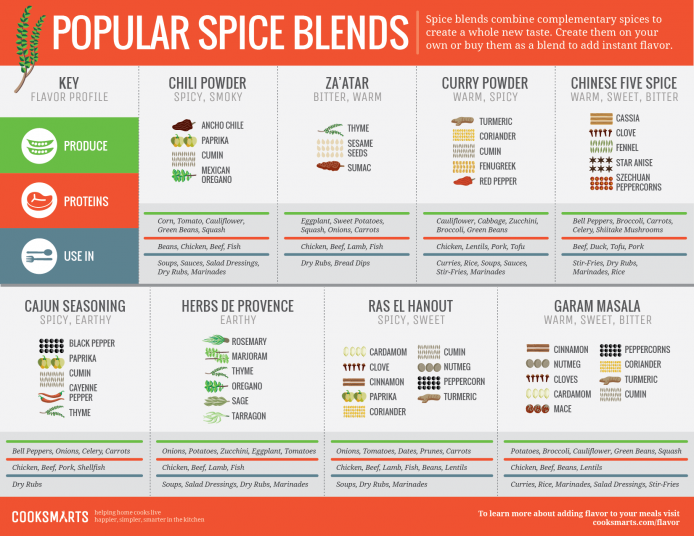 Garam masala, Chinese five spice, herbs de Provence...you probably use these popular spice blends all the time. But do you know what's in them? You'll find all the answers in this spicy infographic from Cooksmarts, which is chock-full of fascinating facts about the seasonings that linger in your cupboards. For instance, did you know there is no actual curry in curry powder? Or that Mexican oregano is an essential component of chili powder?